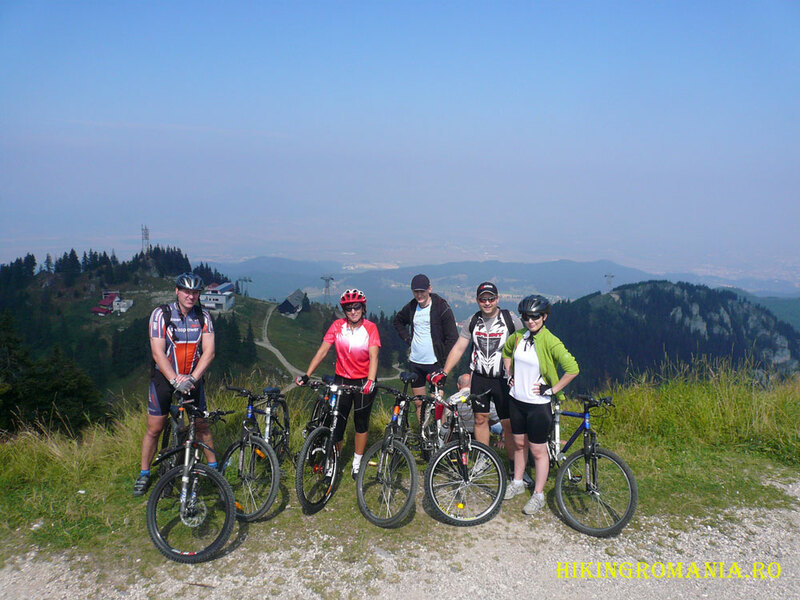 ROUTE 1: From your accomodation transfer by mini-bus to Poiana Brasov resort and then by cable car up to Postavaru peak 1800 m. From there descent by bike to Postavaru chalet - Poiana Brasov resort - Caprioara chalet - Solomon cliffs - Schei district - Brasov city. 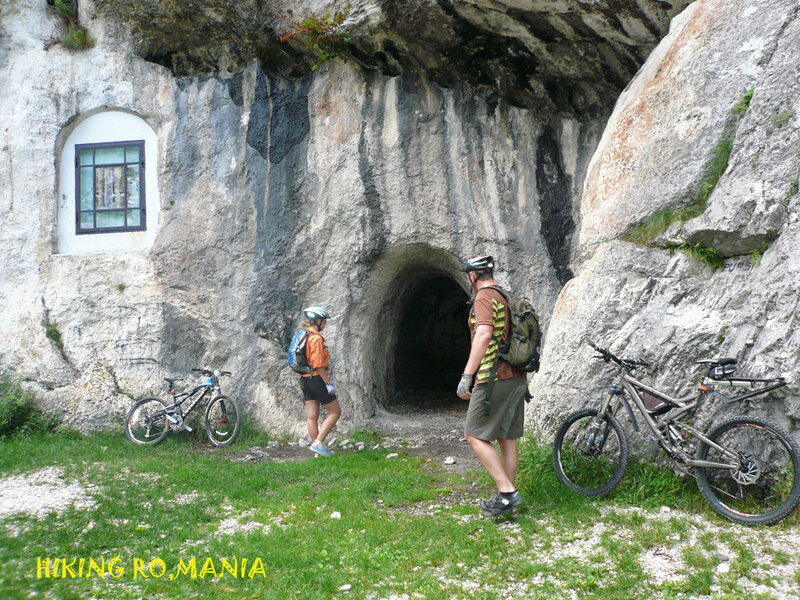 ROUTE 2: From your accomodation transfer by mini-bus to Zarnesti city (Botorog's fountain). 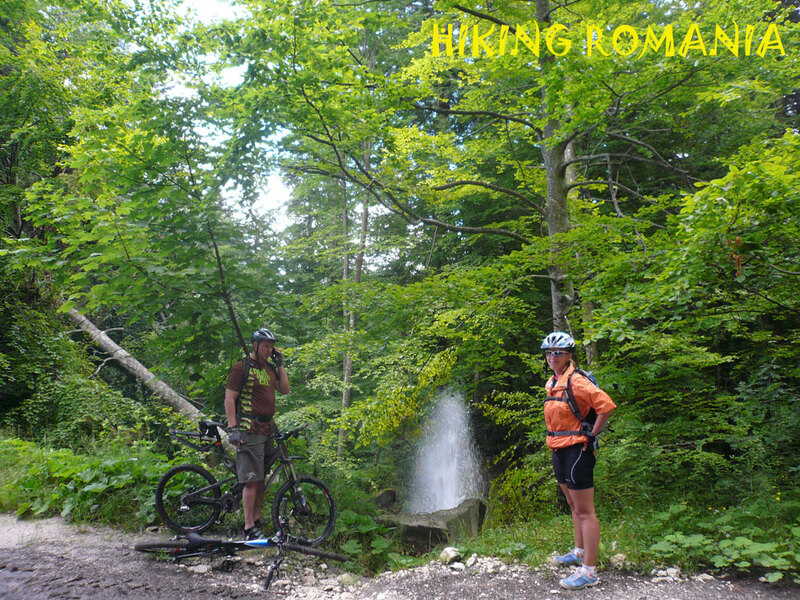 from there by bike to Zarnesti's gorges - Martoiu valley, Pestera village, Magura village and back to Botorog's fount. 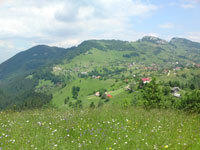 By mini-bus back to Brasov city. 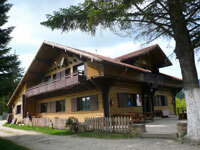 ROUTE 1: From your accomodation transfer by mini-bus to Susai chalet - 1350m. Descent by bike to Azuga resort and back again by mini-bus. 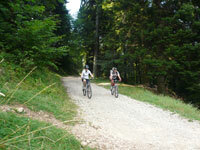 After break another descent to Predeal resort. 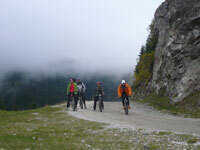 ROUTE 2: From your accomodation transfer by mini-bus to "LA CRACANEL". 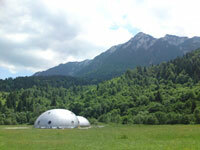 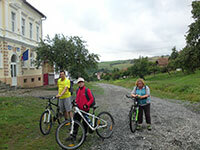 From there descent by bike to Diham chalet - "UZINA ELECTRICA" (Power Station) - Rasnov city. 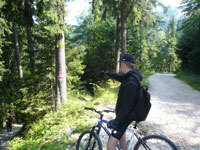 By mini-bus back to Predeal resort. 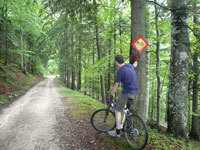 Time: 5 Hours; lenght: 14 km. ; difficulty: easy. 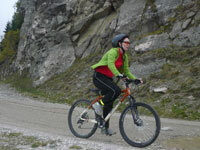 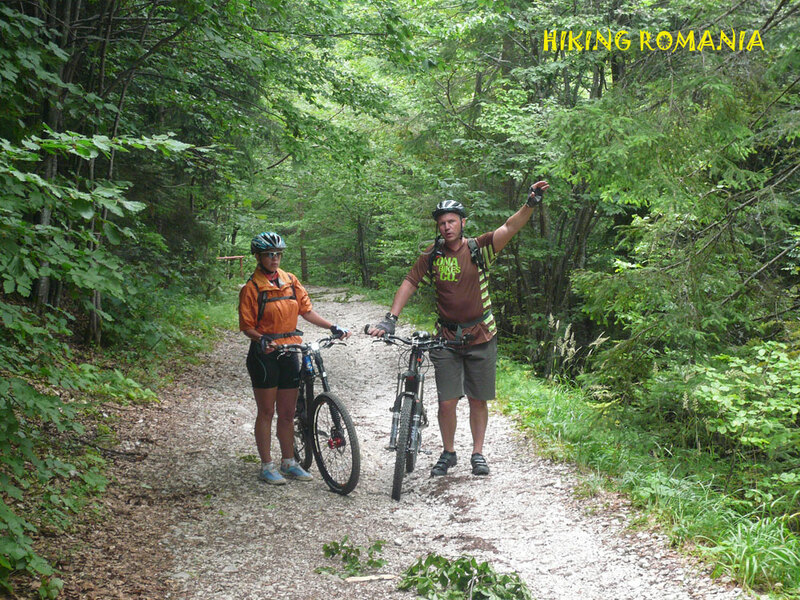 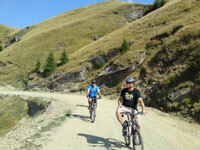 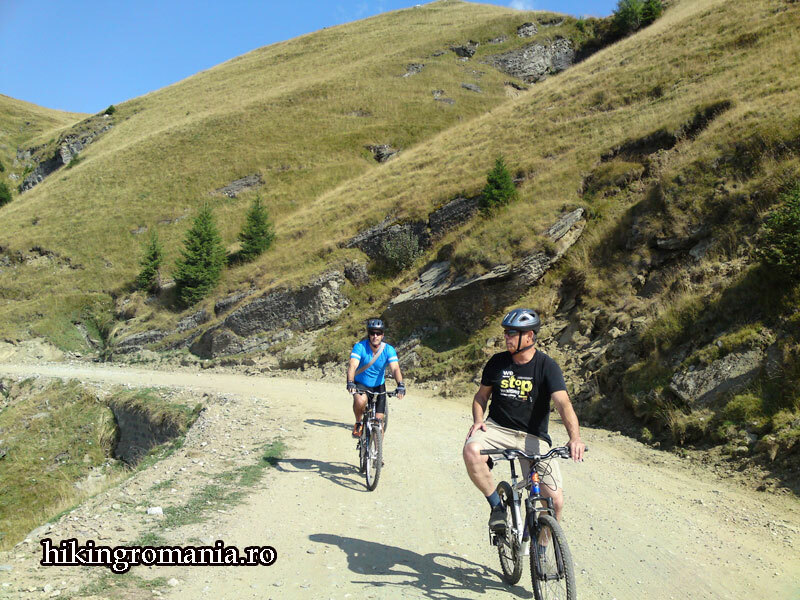 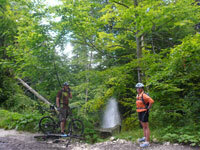 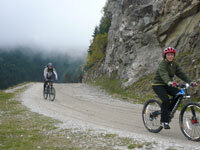 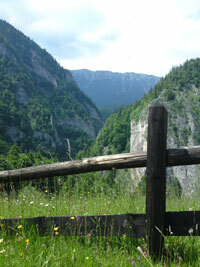 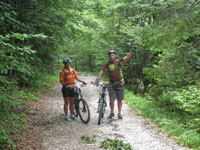 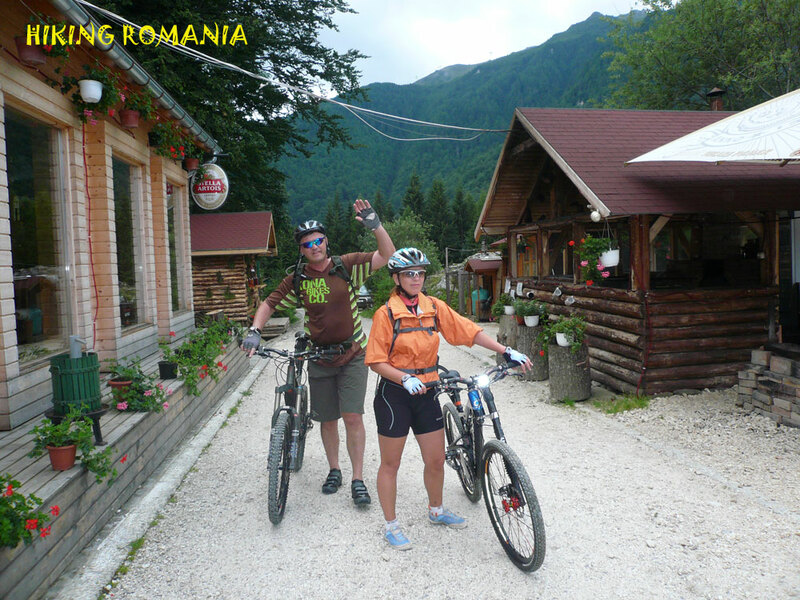 ROUTE 3: From your accomodation ridding by bike to Poiana Secuilor chalet 1070m - Risnoavei gorges - Cheia chalet. By Mini-Bus back to Predeal resort. 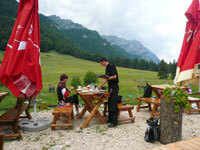 ROUTE 4: From your accomodation transfer by mini-bus to Susai chalet - 1350m. 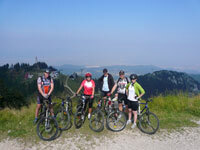 Descent by bike to Garcin valley - Sacele city - Brasov city. 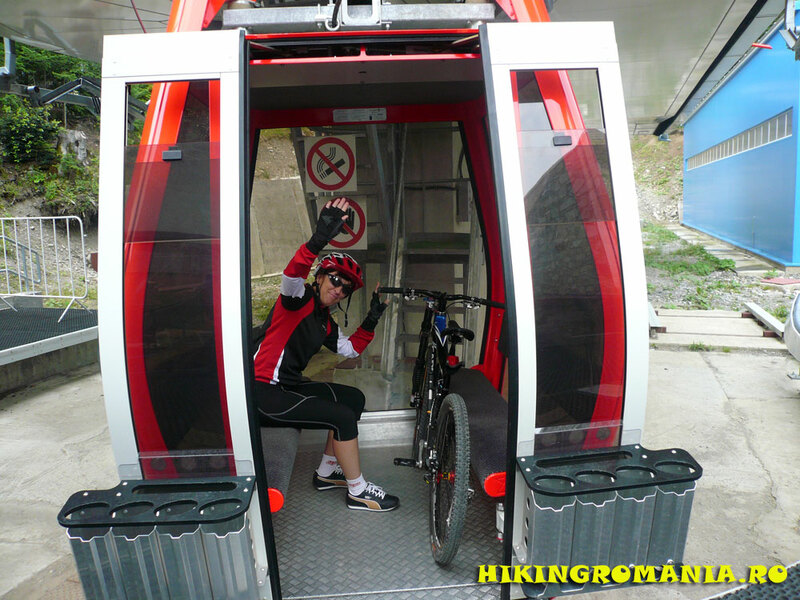 By mini-bus back to your accomodation place. 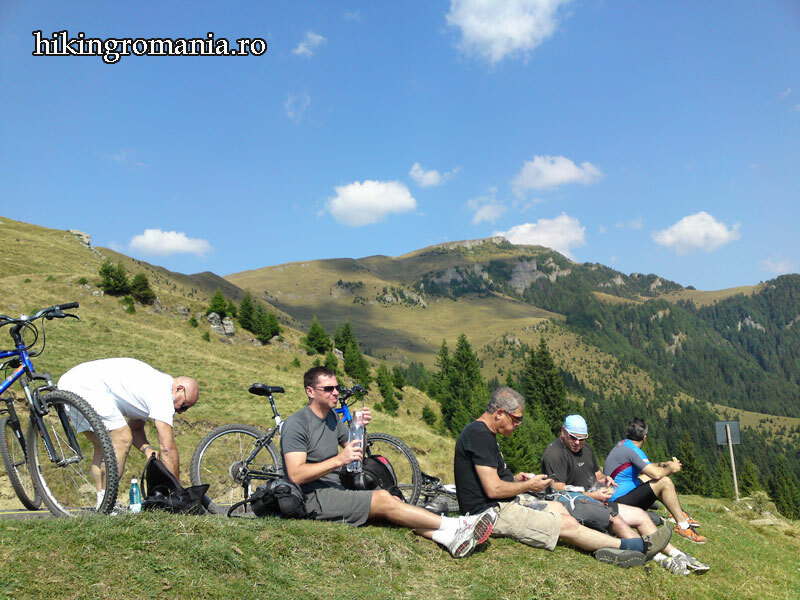 ROUTE 1: From downtown by cable car up to cable buildings - Cota 2000 m. Descent by bike to Piatra Arsa chalet - Dichiu's saddle - Cuibul Dorului chalet - Sinaia downtown. 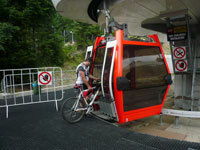 ROUTE 2: From Sinaia downtown by cable car up to building Cota 1400m. 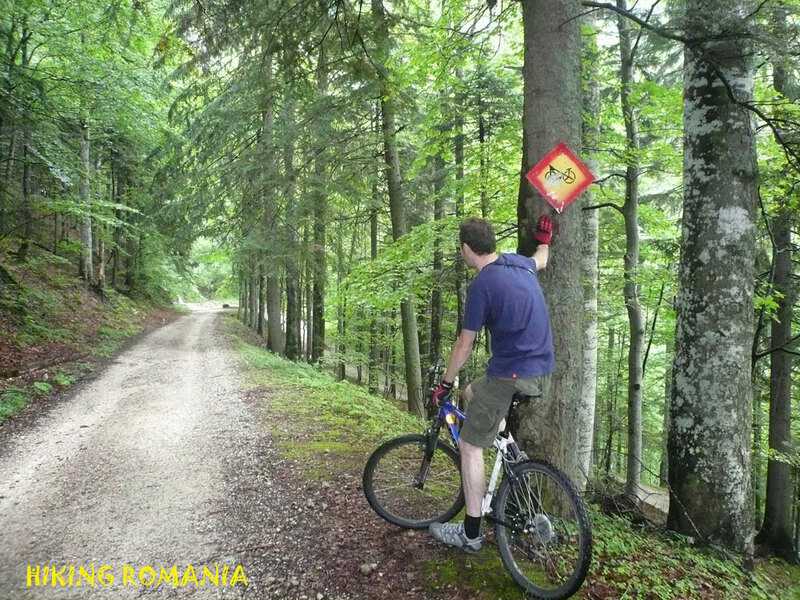 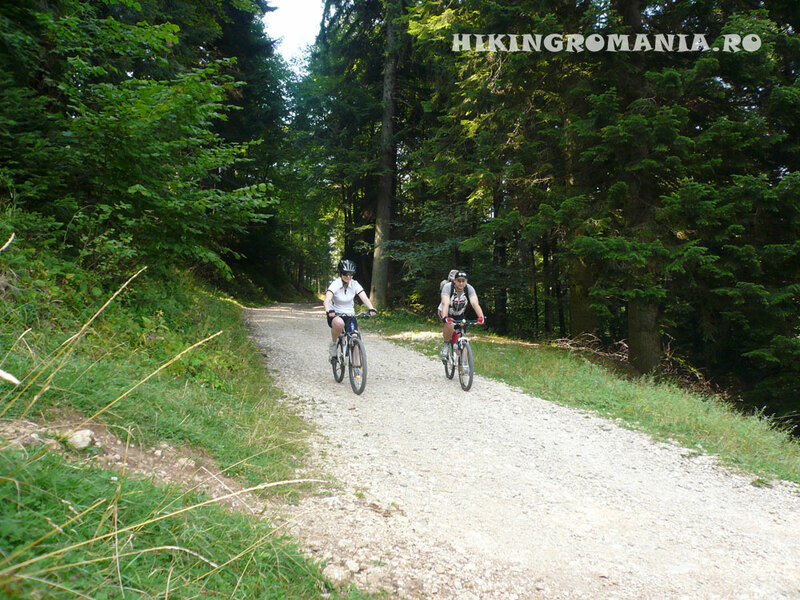 descent by bike to Royal sheepfold - Peles Castle - Sinaia Monastery - Sinaia downtown. 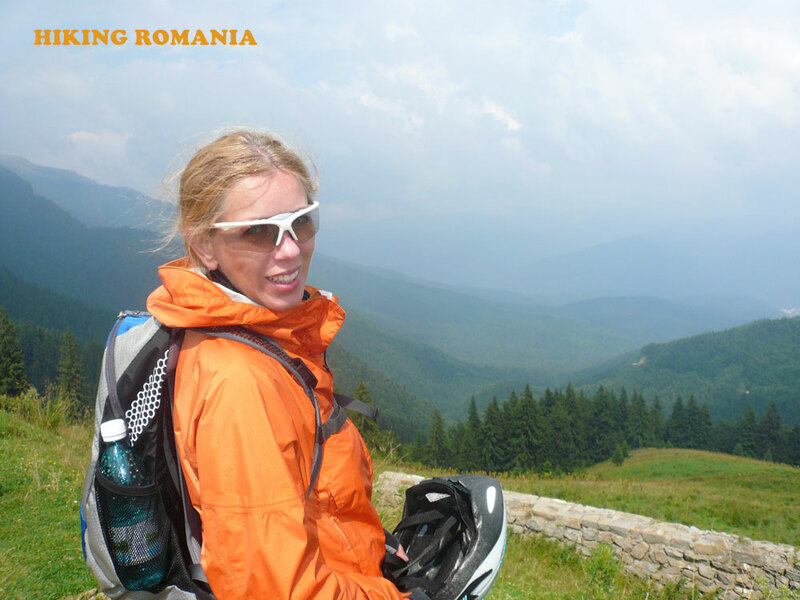 ROUTE 3: BAIULUI MOUNTAINS TRAVERSE. 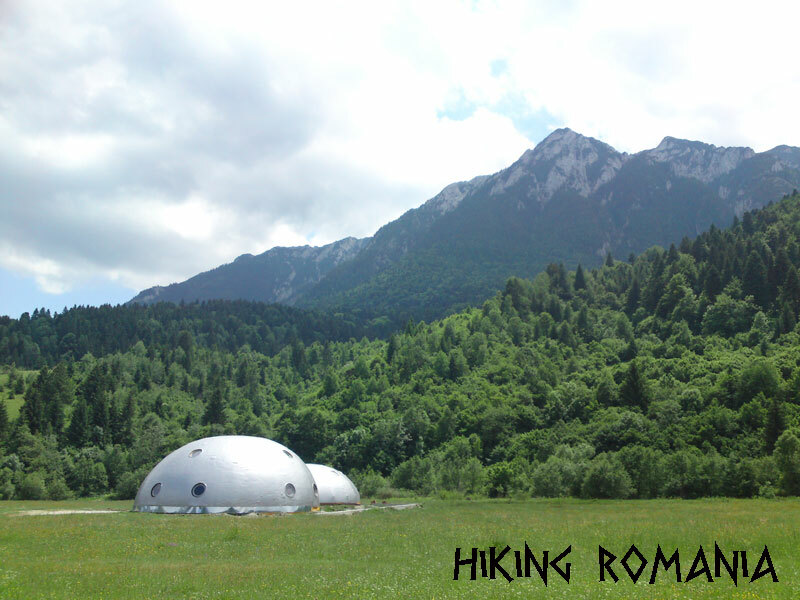 From your accomodation transfer by mini-bus to Azuga resort and by cable car up to Baiului Ridge. 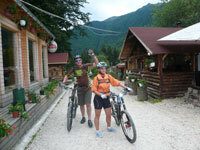 From there we cross by bike over the Baiului mountains to Posada village. 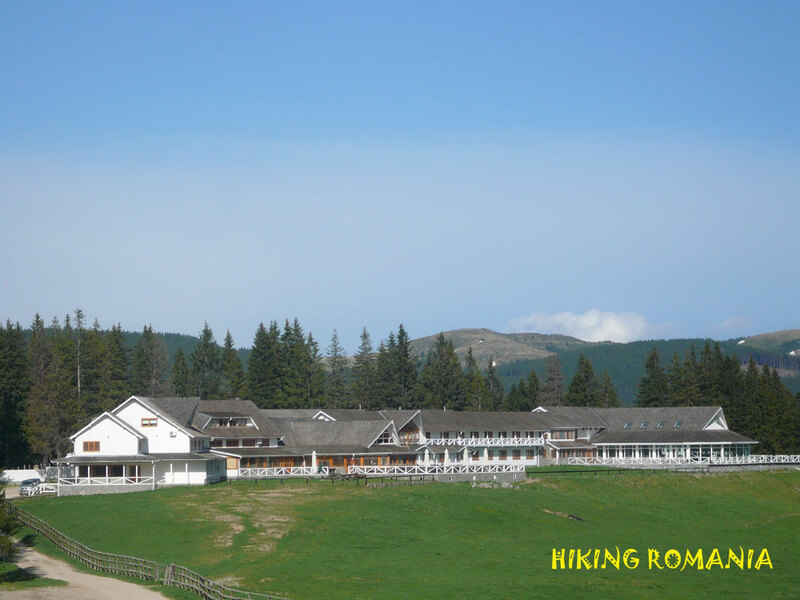 By mini-bus back to Sinaia resort. 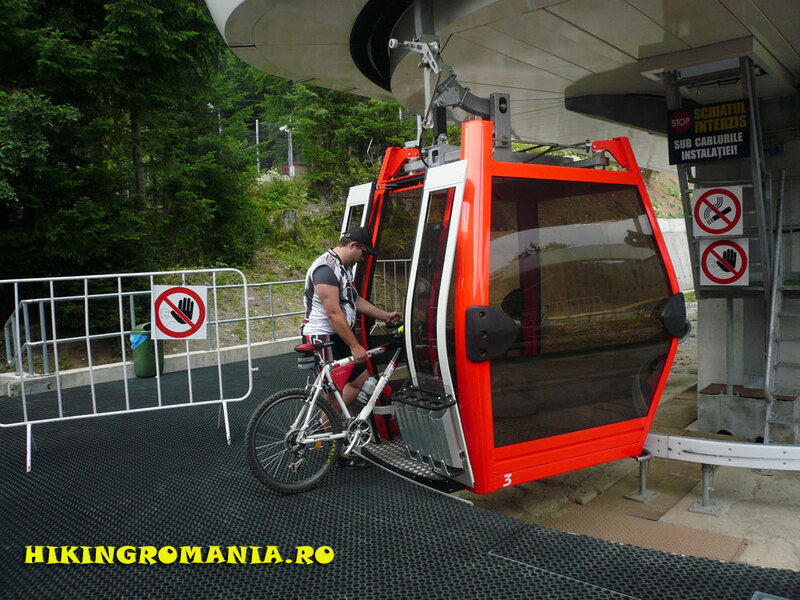 ROUTE 4: From Sinaia downtown by cable car up to building Cota 1400m. 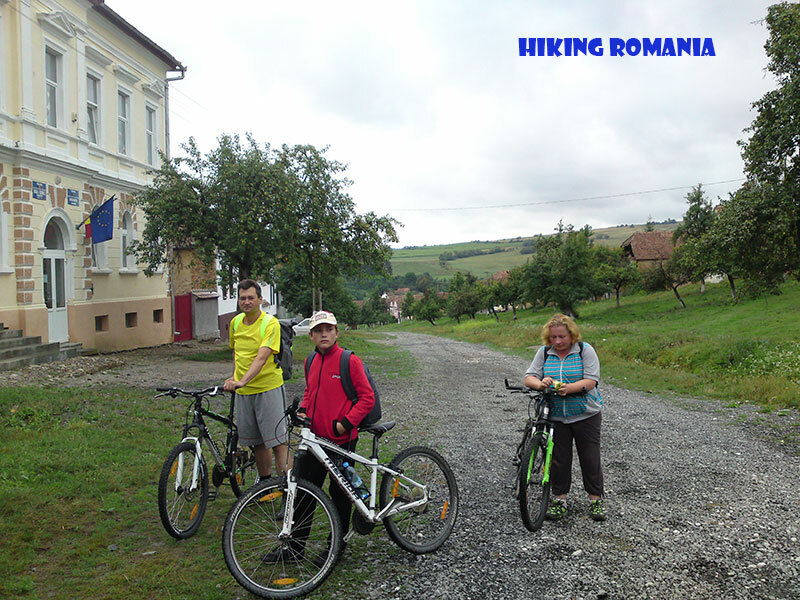 descent by bike to Royal sheepfold - Taverna Sarbului restaurant - Calea Codrului - Sinaia downtown. 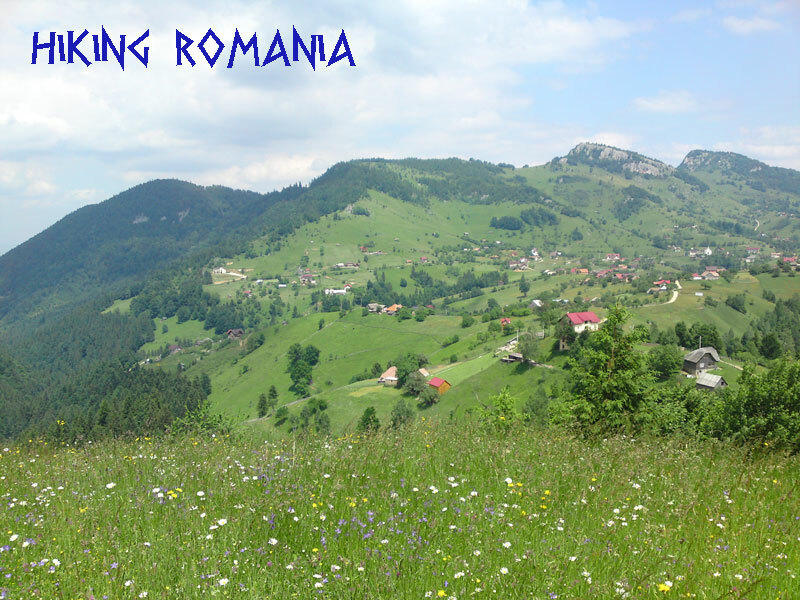 Saxon Transylvania is amongst the most important natural and cultural landscapes in Europe,supporting many rare habitats,plants and animals. 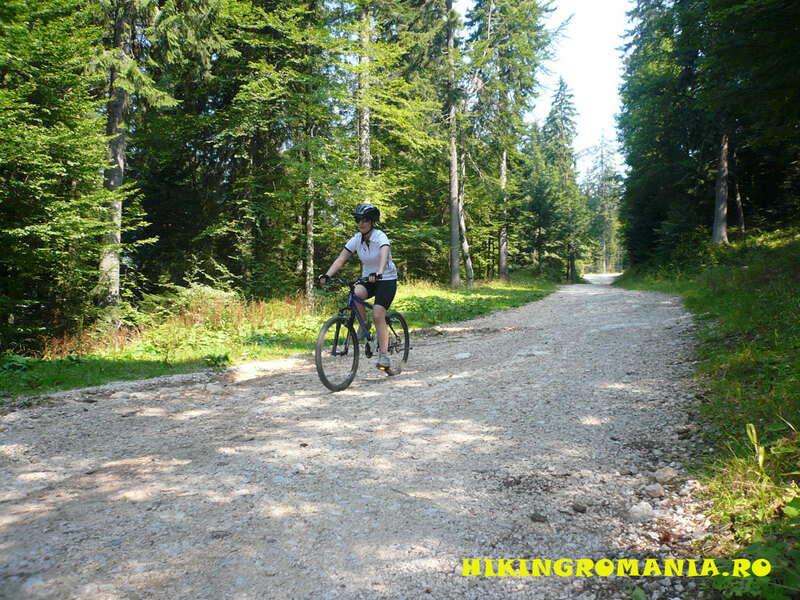 Mountain biking is a very good way to explore this remote Saxon villages and it gives you an intimate insight into the rural life. 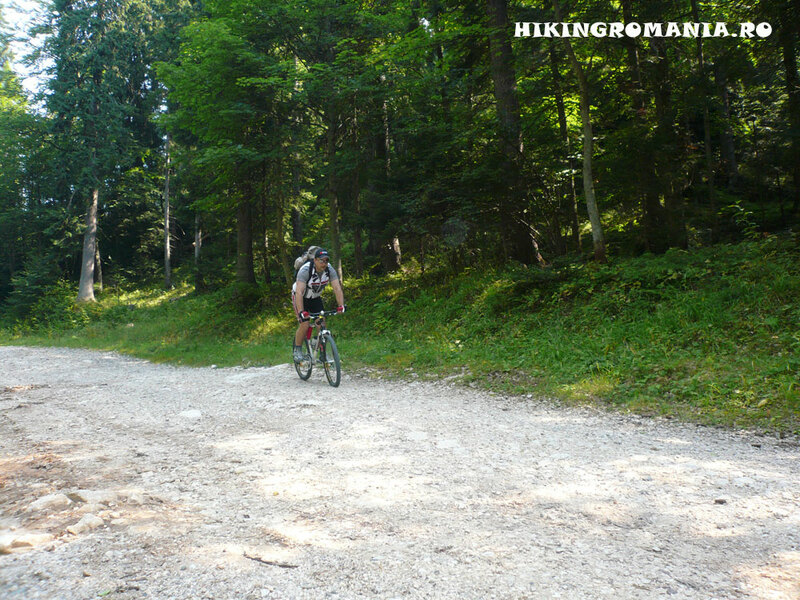 ROUTE 1: From bike rental center in Crit village continue on a single trail to Bunesti village on tarmac road to Viscri village, single trail to Mesendorf and back to Crit. REQUIREMENTS: GOOD HEALTH AND OVERALL FITNESS, STAMINA TO RIDE BY BIKE 5-6 HOURS. 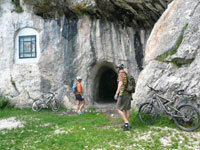 The tours are available from May to October. 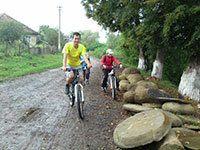 The cost differs according to the chosen tours and the number of guest, so please contact me for the total cost.